For every pint of Deschutes Fresh Haze IPA purchased during the month of September, 1 meal will go towards feeding hungry neighbors. 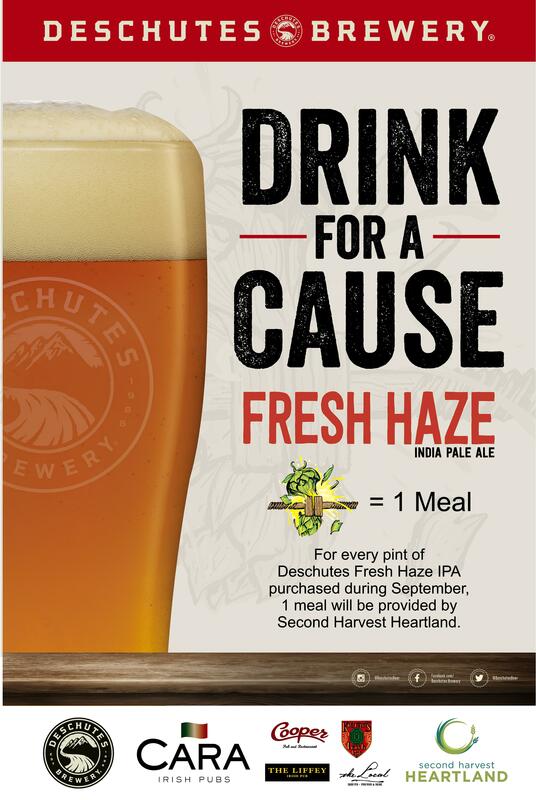 For every pint of Deschutes Fresh Haze IPA purchased during the month of September, 1 meal will be provided by Second Harvest Heartland and will go towards feeding hungry neighbors. Enjoy a pint of Fresh Haze at local Cara Pubs including Cooper, The Liffey, The Local, and Kierans.